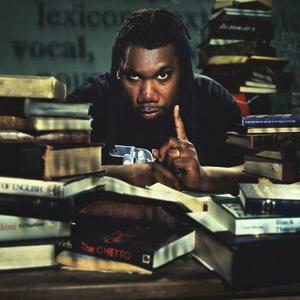 Lawrence Christopher Parker (born August 20, 1965), better known by his stage name KRS-One is an American MC and producer. At the 2008 BET Awards, KRS-One was the recipient of the Lifetime Achievement Award for all his work and effort towards the Stop the Violence Movement as well as the overall pioneering of hip-hop music and culture. Lawrence grew up in the Southview and Mott Haven neighborhoods of the South Bronx (A borough of New York City). Lawrence grew up in the Southview and Mott Haven neighborhoods of the South Bronx (A borough of New York City). As a teenager, he frequently accompanied the Hare Krishnas and was subsequently given the nick-name Krishna (also where the nick name Kris comes from). First using the name as a graffiti tag, it was originally KRS, but seeing as there was another tagger using the tag he added the the number one, thus becoming known as KRS ONE. The moniker originally stood for ?Kris Number One?. Once he developed it into his stage name, however, he developed a new acronym for it. ?Kris Number One? transformed into something deeper and more meaningful. His new message to the world? ?Knowledge Reigns Supreme Over Nearly Everyone? or ? Knowledge Reigns Supreme Over Nearly Everybody?. Just like that, a Hip Hop Icon was born.